Dating potential has become a very common phenomenon today. 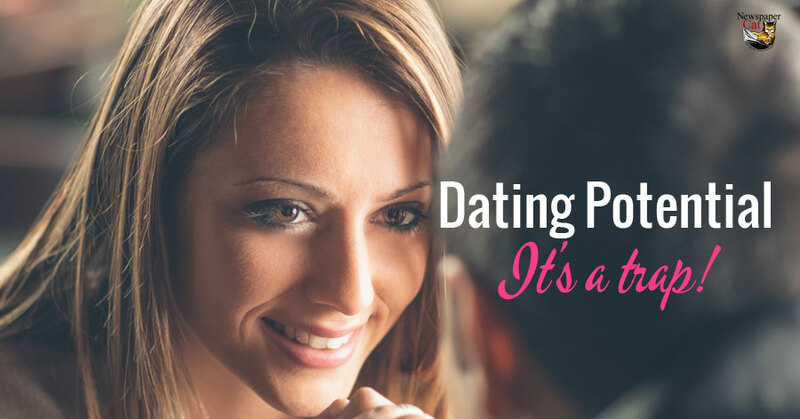 For the sake of those who don’t know what dating potential means, it simply means dating someone for what you think they will become in the future. Here’s a typical example. Some women date men who are “players” in the hopes he will settle down and focus all of his attention on her once they are in a relationship. Then, she is left heartbroken when he goes off and cheats on her. Likewise, a man might date a woman who has no interest in having children in the hopes he can convince her to have a family once they are married. It’s quite easy to overlook potential deal breakers when you’re infatuated with someone. What most people fail to understand is that dating potential is a formula for disaster. The best thing to do is to pay attention to the kind of person you are dating now i.e. what they have to offer today. If you’ve been dating someone for years hoping they will change into the person you have visualized them to be in the future, stop wasting your time! You’ll never be satisfied in that kind of relationship. It’s normal to want to change some things about your partner. For instance, you may want to change how your boyfriend interacts with kids in the hope of molding him into a perfect father in the future. It is however important to note that if you don’t like how he currently interacts and relates with kids, he won’t be any different once he has his own kids with you. You may also hate how your girlfriend flirts with other guys. You shouldn’t think or hope it will be any different once you marry her. You must stop thinking about who you want your partner to be in the future and deal with them as they are now. You must be realistic when dating. As much as you would want to like everything about your partner, it is important to note that there are a few things you can’t change about them. Change has to come from within. It is however important to have a list of deal breakers. For instance, if you don’t want to spend the rest of your life with a smoker, then don’t date a smoker in the hope that you will convince them to quit smoking in the future. Also, if having a family is important to you, don’t date a man or a woman who has little interest in parenthood expecting to change their mindset in the future. It’s a formula for disaster. Instead, steer clear of all deal breakers in your list. Forget about compromising on things that are important to you. You’re better off staying alone than settling for less in the hope of getting more in the future. Dating a person’s potential is one of the main reasons behind many failed marriages today. If you marry someone hoping you’ll change them and they don’t, you will be miserable and bail at some point. Making a checklist of the things you can’t compromise on before you begin dating is a good idea. You should never expect someone to be “perfect”, and it’s important to learn to love someone despite his or her faults, flaws, and imperfections. However, dating someone for their potential and hoping they will change in the future almost always leads to heartbreak.